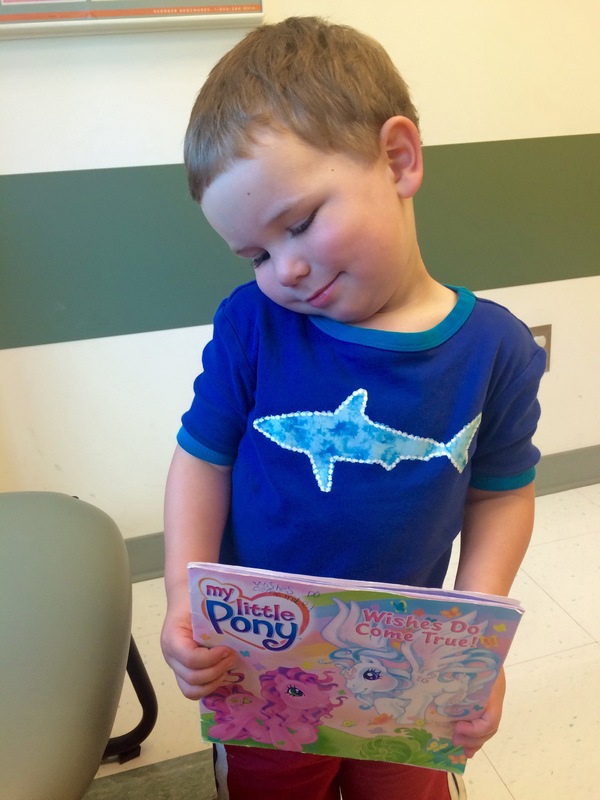 Took Baxter to the doctor the other day to get his cough checked out (lungs clear; probably allergies), and he was THRILLED to find a My Little Pony book in the examination room. I confess I may have hidden our one MLP storybook (multiple stories) recently, sick to death of reading then to him over and over. I know there’s a strong MLP fan base, and maybe it’s just a generational thing, but quite frankly I do not understand the appeal. Wishes Do Come True, the book we found at the doctor’s office, is actually the story I like the least. 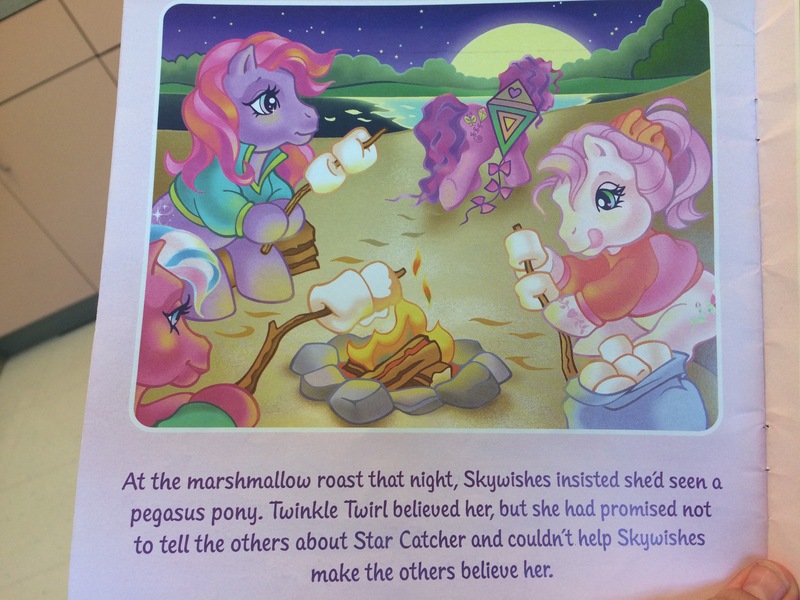 Synopsis: Twinkle Twirl is visited by a mysterious Pegasus pony (Star Catcher) and is told that she has to keep the meeting a secret. Abuser behavior much? 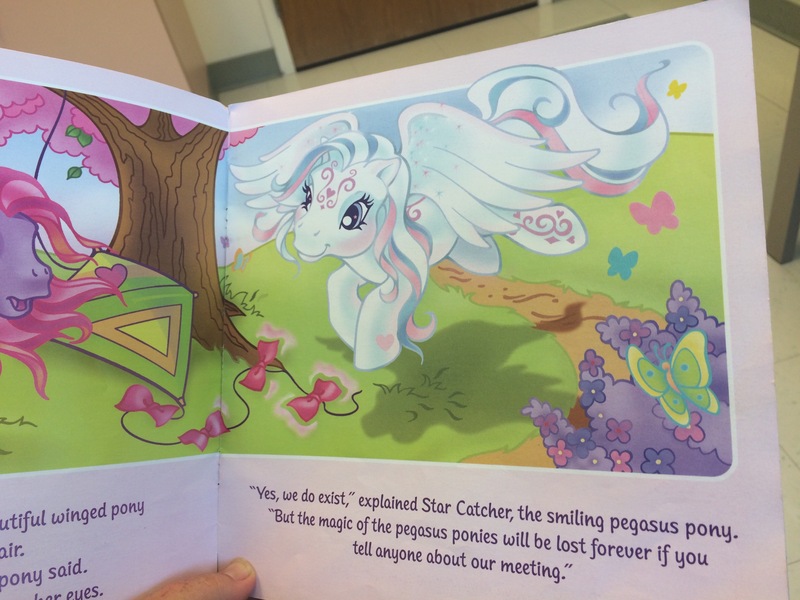 There’s no resolution, either: at the end of the Book, Skywishes finds the land of the Pegasus ponies and that’s it. She doesn’t get to recover her reputation with her friends. No one says, “I believe you.” No one comes clean; just a lot of ponies keeping secrets and hanging each other out to dry, evidently forever. What rotten behavior to model for kids, even leaving out the characters’ constant obsession with their appearance. Why do people love this series/universe so much? Bah.